How freaking adorable are these? Seriously, I started making them and just couldn't stop. I remember hearing about the fact that babies are born with (long!) nails, and that you need to have little teeny tiny baby mitts for them in the hospital so they don't scratch their faces. Crazy. I never looked it up until just now, but remember learning from a reputable source that yes, nails develop pretty early, and so as I was making my little baby gifts packages a few weeks back, I decided to make little mitts, because scratched faces sounds bad. Turns out, apparently, newborn nails are very soft and flexible, so maybe not scratching material, but hey, would you want to leave it to chance? 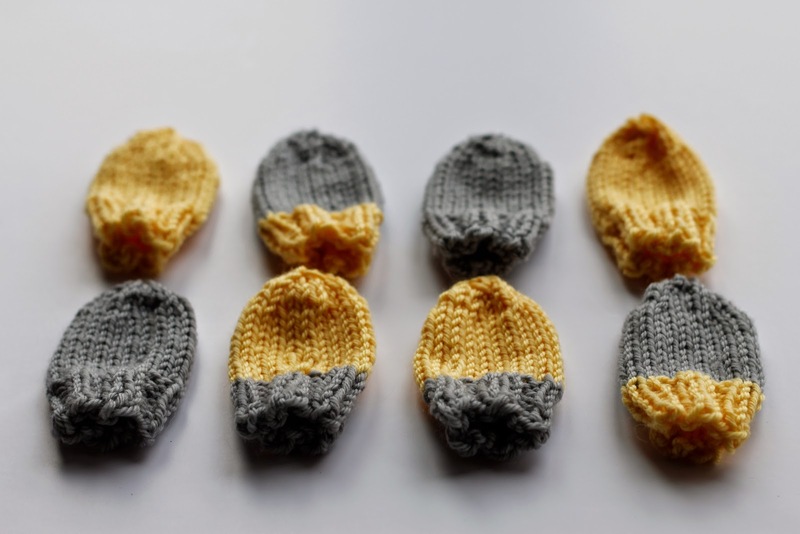 Also, why would you want to skip on the cute tiny little mitts? 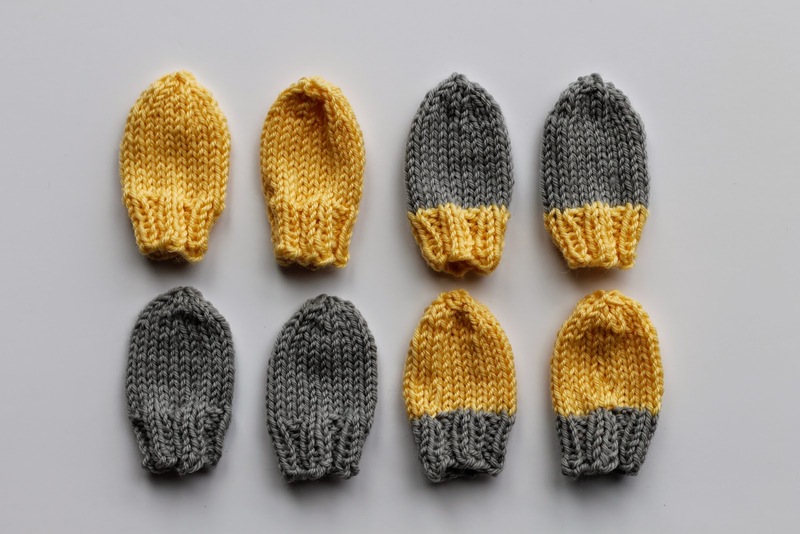 The best thing about these is that they are the quickest thing you'll probably ever knit. I sat in front of the TV, and had a finished mitt, ends weaved in and all, well within an episode. Or maybe I saved all the weaving of the ends for the very end because it's rather unpleasant and maybe, just maybe, I was a little unpleased with the amount of weaving left. But not with the mitts themselves. 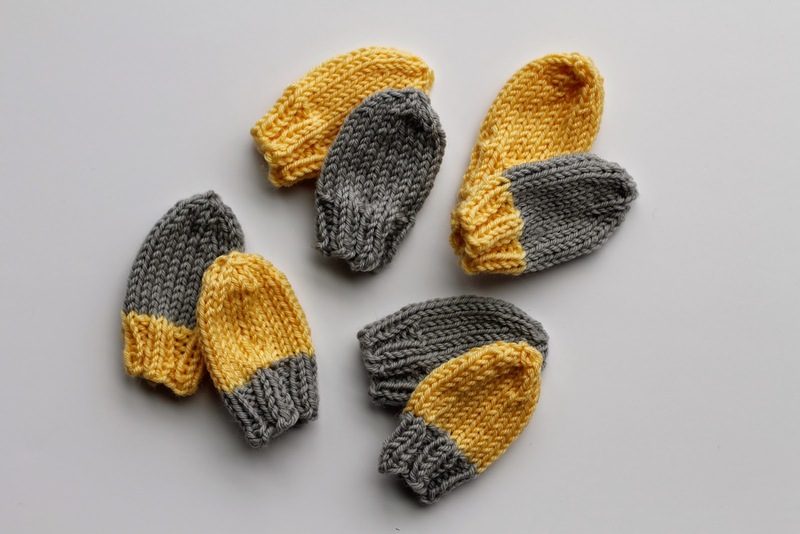 So then I kept making more, and more, and decided that I liked them better as a mix and match, so each friend ended up with 3 pairs, so they could change it up if they liked that too. They were going to end up with more, but I had a list of projects, and new skills to learn, and decided to stop procrastinating on these cutest little things, and maybe start something a little harder. I did, but it was a close call. 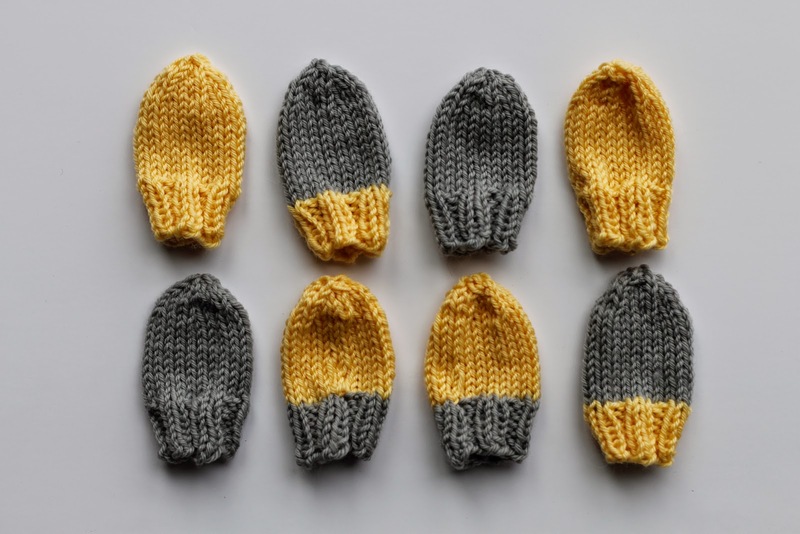 I followed this baby mitts pattern by Susan B. Anderson (whom I love, because how can you not), and used Cascade 220 Superwash, which is 100% merino wool. You could easily just use any left over yarn, but I wanted my mitts to be machine washable, and didn't have any handy. I barely made a dent in the skeins after 6 pairs of mitts, so maybe I'll just go sit on the couch and make some more. Just maybe.